Paxiom offers a large range of pouch filling machines all coming from various bagging solutions including vertical bagging, horizontal bagging, pre-made pouch bagging and wicketed bagging. From pouch filling snack food, candy, chocolates, bagels to filling fruits, vegetables and frozen foods, we provide them all for you. Another pouch filling machine from the vertical bagging solution is the XPdius Elite i-130 that can finish up to 100 cycles per minute. This high-speed bagging machine offers time-saving benefits when loading film, replacing pull belts and doing bag widths changeovers thanks to its several tool-less features. Designed for complete convenience, you can easily access the mechanics of the machine through the front, bank, and inside of the frame. It can fill pouches sizing of 3 to 13 inches wide and 2.5 to 16 inches long. Third is the R2B Horizontal Form Fill & Seal Bagger that makes use of laminated roll stock film as the main material in creating a wide range of pouch styles reducing your material costs since you no longer need to spend on pre-made bags. Its pouch size capacity is from 3.5 up to 7.75 inches wide and from 5.5 up to 11 inches long. Lastly, it can form, fill and seal various pouch styles including 3-sided seal, 4-sided seal, and doy style stand-up pouches with or without a zipper enclosure. Then we also have the Swifty Bagger Pre-Made Pouch Machines. These are for pre-made laminated pouches in three styles: stand up, quad and 3 sided pouch. Available in three models. The Swifty Jr. featuring its compact footprint and open design that make it easy to set up, operate, and maintain. Finally, we have the Swifty 1200 and Swifty 3600, with their unique straight-flow design to promote high accessibility when it comes to machine parts. 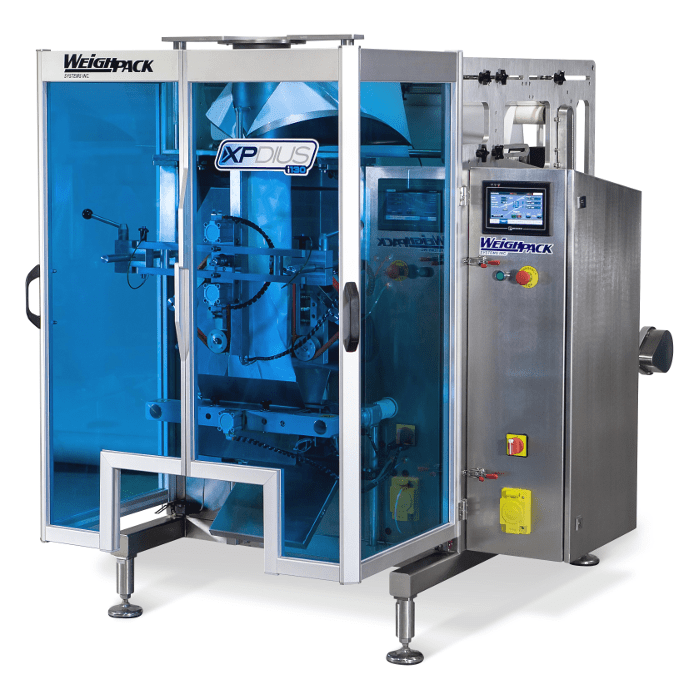 To end with, we have our three horizontal bagging machines for pre-made wicketed bags. Designed to automatically open, fill, and seal pouches of various styles and materials. First off is the Bingo Bagger that is engineered for filling larger bags coupled with its unique feature to provide a consistent nitrogen residual. Next is the Zippy Bagger commonly used for high-speed filling needs of up to 35 bags per minute. These are laminated, low-density polyethylene materials, pillow pouches, or stand-up pouches. Lastly, we have the VS Bagger for solutions that do not require the sealing of pouches or bags. Nevertheless, it can be easily integrated with any existing rotary sealing machine, a Kwik Lok, or twist tie.